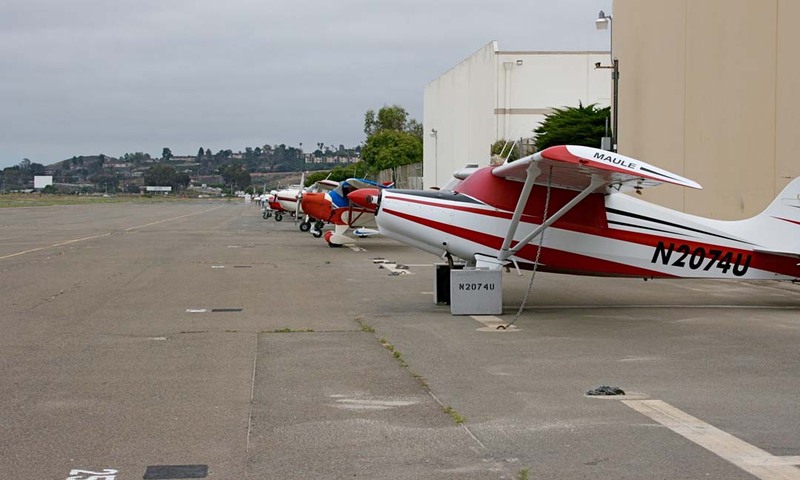 OCEANSIDE — City Council approved the Airport Master Plan Study for Oceanside Municipal Airport on Aug. 24, which allows the airport to move a step closer to starting airside and landside improvements. “We’ve been waiting for a long time to do this,” Councilman Jerry Kern said. The master plan process began when Federal Aviation Administration (FAA) grant funding for the airport stopped in 2012, because of the airport’s dated master plan. Airport Property Ventures, which manages the city airport, secured an $180,000 FAA master plan study grant, and then hired the consultant company, AECOM, to lead the process in 2013. Nine community outreach meetings, and presentations to the City Council and Planning Commission were held, which shared master plan progress and addressed community questions. An airport layout and list of needed airside and landside improvements was determined along with an implementation schedule, which is dependent on funds. Following council approval of the Master Plan Study last week, immediate next steps are to prepare a development plan, conduct environmental studies, and process plans and studies with the FAA and other transportation authorities. Once plans and studies are approved the airport can move forward with development and pursue FAA grants for airside improvements. Doors will also open for other funding with a current master plan in place. “Master Plan Study guidance allows us to move forward with a development plan required by the FAA,” Doug Eddow, city real estate manager, said. The airport sits on 43-acres and features one runway and fuel services. During the study the forecast for the airport’s aviation demands increased from low to medium growth. There are presently 72 base aircraft. That number is forecast to grow to 90 by 2035. Annual takeoffs and landings at the airport are 12,000, and are anticipated to grow to 24,300 in 20 years. Among changes to better air safety are improvements to the runway and taxiways. Plans call for pavement of the runway to shoulders so it is 10 feet wide. Expand airfield signage. Remove nonstandard markings from the runway. Address impacts of Benet Road and trees penetrate to the runway threshold sitting surface, as well as other improvements. Planned upgrades to ground facilities for the coming 20 years include terminal replacement, hangar construction and new fuel tanks. They include add a 10,000 gallon Jet A fuel tank. Replace two AVGAS fuel tanks. Restore failed pavement. Enhance airport security by regular police patrol, and other upgrades. No date was shared on when FAA and other needed approvals will be completed.